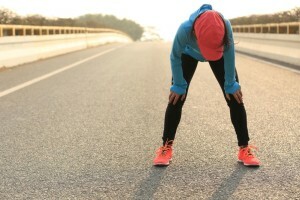 Sports journalist Alex Hutchinson, writing in Outside, reports that a new study on beet juice suggests that contrary to the common belief that it will work for recreational runners but not for highly trained athletes, it actually does work for them as well, as long as they take sufficient amounts before a race. The study, which was performed on cyclists, was published in the journal Nitric Oxide. Nitric oxide is “a versatile molecule that has wide-ranging effects on blood circulation and other parameters,” according to Hutchinson. Nitric oxide is created from nitrite in the body, which is in turn created by nitrate, the main ingredient in beet juice. The researchers wondered if highly trained athletes with a VO2 max greater than 60 mL/kg/min simply needed a higher dose. Study subjects drank two shots of concentrated beet juice a day (mostly with one in the morning and one in the evening, but taking both at the same time a couple of hours before a race on race days) for seven days. They did this twice–once with the concentrated beet juice shots and once with a placebo that looked and tasted just like the beet shots, but that did not contain any nitrate. The study found that nitric oxide levels reached their maximum after four days of beet juice loading, so seven days is probably unnecessary. The study showed the athletes who consumed the nitric oxide were able to consume more oxygen during exertion. We still don’t really know why, but we know for sure that it works.